Jack J. Barry is a Postdoctoral Research Associate at the University of Connecticut where he works with the US Department of State's Bureau of Educational and Cultural Affairs. 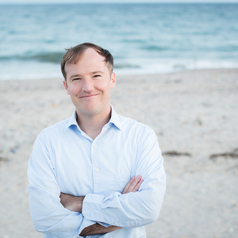 He received his Ph.D. in political science from the University of Connecticut, and his Masters in political science from the University of Rhode Island. Some of his publications include a book "Information Communication Technology and Poverty Alleviation: Promoting Good Governance in the Developing World" (Routledge 2018); a book chapter "Social Movements in the Digital Age" in Mahmood Monshippouri, ed.,"Information Politics, Protests, and Human Rights in the Digital Age" (Cambridge University Press 2016); a book chapter "A Digital Sublime or Divide?" in Anita Breuer and Yanina Welp, eds., "Digital Technologies for Democratic Governance in Latin America: Opportunities and Risks" (Routledge 2014). He has taught courses at various institutions of higher education including the University of Connecticut, University of Rhode Island, and Trinity College (Hartford, CT). During his free time he enjoys surfing, playing guitar, traveling, and is a surprisingly good basketball player.